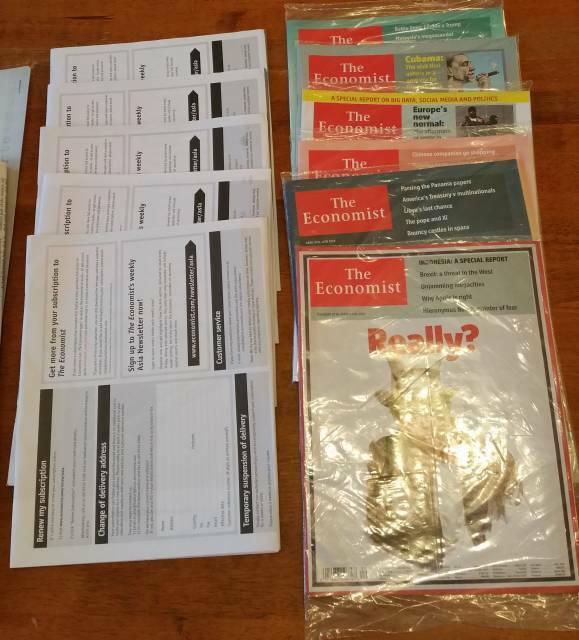 Only some of the unopened issues of the Economist, it is so famous you don't typically add magazine or newspaper after it. I found them in the house by accident and thought it would be interesting to get a photo of them before filing them away in the thrash. Had I not needed to commit to the end of the subscription, I would have terminated it long ago. It was actually meant for the children but they hardly read it.